Published: Dec. 16, 2018 at 10:33 p.m.
Pittsburgh Steelers cornerback Joe Haden goes up for an incredible interception. 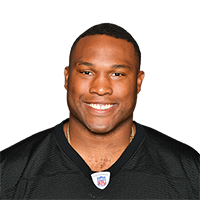 Published: Jan. 8, 2017 at 02:49 p.m.
Pittsburgh Steelers linebacker James Harrison sacks Miami Dolphins quarterback Matt Moore, and Steelers recover fumble. Published: Nov. 6, 2016 at 01:32 p.m.
Pittsburgh Steelers cornerback Artie Burns gets first NFL interception, picking off Baltimore Ravens quarterback Joe Flacco. Published: Oct. 2, 2016 at 08:52 p.m.
Kansas City Chiefs running back Spencer Ware fumbles the ball and Pittsburgh Steelers cornerback Ross Cockrell recovers the ball.